Home /Blog/Brexit: What just happened? Another day, another critical moment for Brexit. On Tuesday evening, British MPs voted on what they want to get out of the deal to leave the European Union. It may not be clear what just happened in the British parliament, so we tried to explain it all here. The UK will leave the European Union on 29 March but British MPs still can’t agree how. Prime Minister Theresa May is desperate for them to back a deal she struck and on Tuesday, they got the chance to make their own proposals for how the deal should look. Most proposals didn’t get the support of the majority of MPs, but a key one did. This amendment means Mrs May has to return to the EU and try to negotiate a new deal (to sort out what kind of border there will be with Ireland). The issue? The EU says it already negotiated a deal, and won’t do so again. There are only two months to go until Brexit and the British government still hasn’t decided on what terms it should leave the European Union. Tuesday’s events risk muddling the process even more. Let’s rewind to November 2018, when it looked like major progress had been made. In the two years after 52% of voters said they wanted the UK to leave, the British government and the EU were locked in negotiations on the terms of Brexit. Then, in November, Mrs May and EU leaders finally agreed a deal, and she said the British public did not “want to spend any more time arguing about Brexit”. 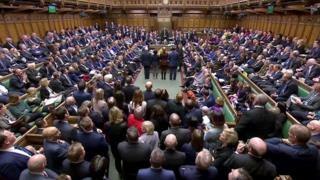 The deal had to be approved by the British parliament, but it was a tough sell to some members of her own Conservative party (more on that below), and they rejected it two weeks ago in one of the biggest defeats a government has seen. MPs across all parties had a chance to suggest amendments to her deal, and vote on those too. In the end, MPs were allowed to vote on seven amendments, most of which didn’t pass. The deal Mrs May struck in Brussels ensured that there would not be a “hard border” between Ireland and Northern Ireland. This measure is called the backstop. This is the only place that has a border between the UK and the EU. No “hard border” would mean that goods would still be able to cross the border without checks. But this prospect has gone down badly with the influential hardline Brexit supporters in Mrs May’s Conservative Party who want a clean break with Europe. On Tuesday, a majority of MPs said they now wanted a new deal, one that made changes to the backstop. A majority of MPs also backed another amendment that rejected the UK leaving the EU without a deal (we explain why “no deal” worries people a little later). At least now we know where most MPs stand on this issue, but it doesn’t really change anything: it’s not as though they’ve suggested how they hope to avoid leaving without a deal. Nor is this move legally binding: a no-deal Brexit could still happen. In theory, Theresa May now has a mandate to ask the EU for new talks on the backstop. The problem is the EU doesn’t want to, and doesn’t see any reason why it should (our Europe editor Katya Adler has more detail on that here). 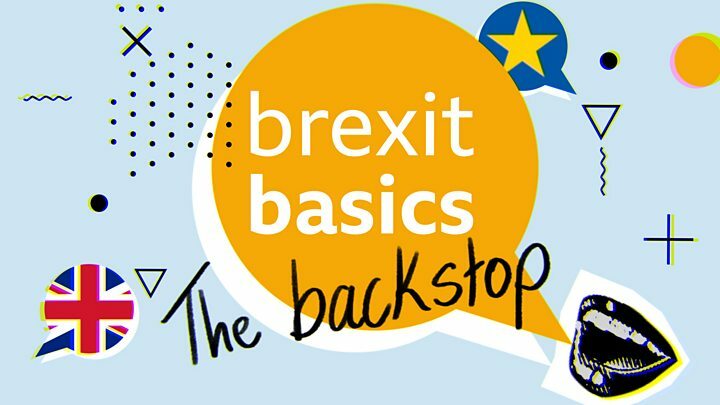 It says the whole backstop issue has already been dealt with. Ireland, an EU member, doesn’t want any change to the backstop deal either. How would “no deal” look? So if the EU doesn’t want to reopen negotiations, and the British parliament can’t find a compromise, what happens? We’d be facing a “hard Brexit”: the UK would crash out of the EU on 29 March with no deal. This means the UK would leave suddenly, with no transition. There are real concerns over the damage a “no deal” could do: it could cause delays in bringing food and materials into the UK, and the price of some goods in British shops could shoot up. Bear in mind that the EU now also knows that a majority of British MPs don’t want “no deal” to happen. This might strengthen their hand in any purely hypothetical negotiations that might take place.